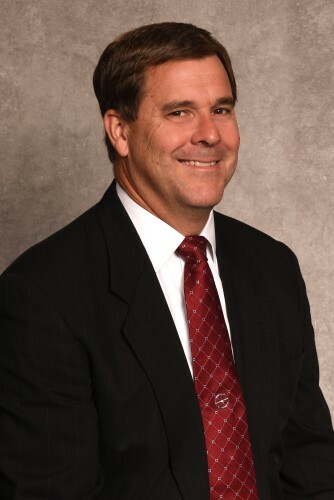 Burton Prugh is the owner of Prugh Funeral Service. He is the fifth generation of his family to operate the business. He is a graduate of Iowa Wesleyan College with a degree in Business Administration and also a graduate of The Wisconsin Institute of Mortuary Science. Burton is a licensed Funeral Director and Embalmer. He served in the US Army Mechanized Artillery during the Vietnam War. His hobbies include boating, woodworking, playing the guitar, gardening, creating pen and ink drawings and restoring classic cars. 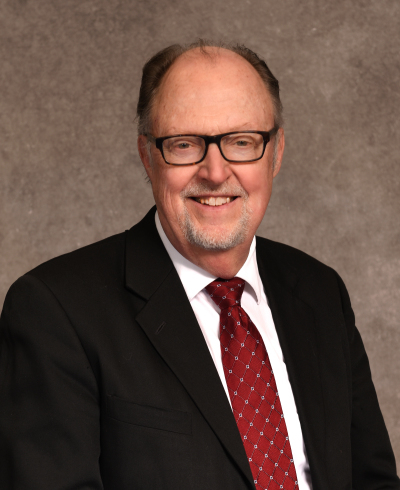 Burton is past president of the Burlington Rotary Club, past president of the Art Guild of Burlington, past president of the Special Needs Foundation of Des Moines County and treasurer of the Crapo Park Foundation. 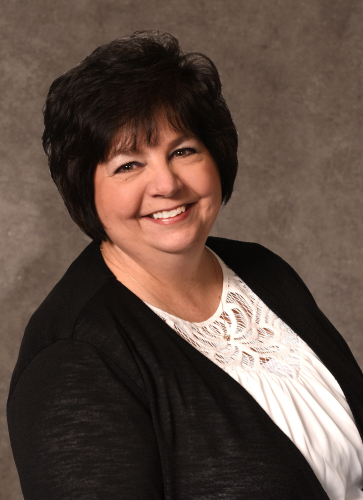 Joanne Prugh is the office manager for Prugh Funeral Service. She has worked with her husband Burton for over 20 years and they have been married since 1971. Joanne and Burton have two daughters; Lindsay (John) Fruehling and Molly Prugh and three grandchildren, Coulter, Hannah and Ava. She enjoys cooking, entertaining and traveling. 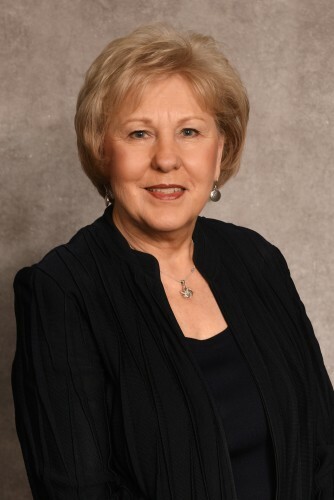 She is past treasurer of the Southeast Iowa Symphony Pops Concert, has served on the board of the Visiting Nurses Association and is an associate member of the Burlington Fine Arts League. 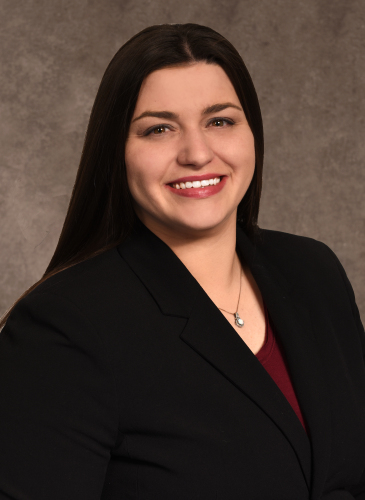 Lindsay Prugh Fruehling is the sixth generation of her family to be associated with Prugh Funeral Service. She attended Southeastern Community College and Bradley University. She and her husband John were married in 2000 and have one son, Coulter and two daughters, Hannah and Ava. She is a member of the Burlington Fine Arts League, Hetta Gilbert and serves on the board of Great River Friends. She enjoys cooking, traveling, and spending time with her family and friends. John is the son of Barb and Henry Bohlen. He is a graduate of Burlington Community High School and Western Illinois University. As well as assisting at Prugh Funeral Service and Prugh-Thielen Funeral Home, he is the owner of Precision Companies, Inc. He married Lindsay in 2000 and they have three children; Coulter, Hannah and Ava. He is a member of the New Crystal Lake Club, South East Iowa Builders Association, on the board of the YMCA Burlington Bullsharks swim team and enjoys biking, running, and participating in triathlons. 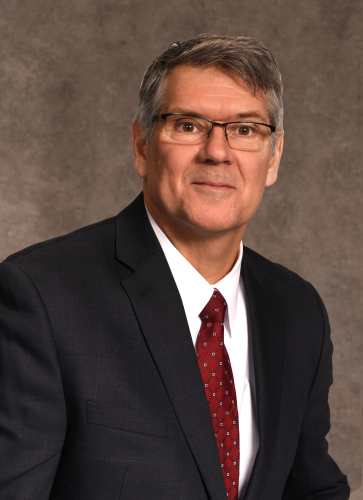 Doug Beck is an Iowa Licensed Funeral Director and an Iowa life Insurance Producer who graduated from Danville High School, Class of 1982 and the Kansas City, Kansas Mortuary College. 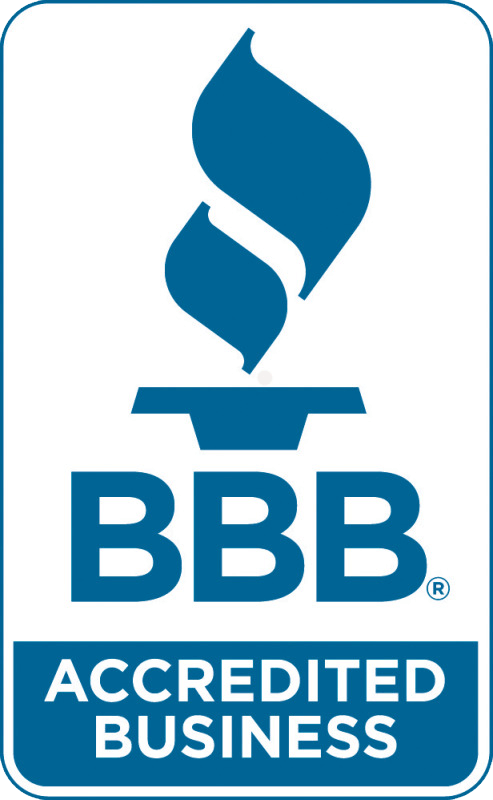 He became a certified crematory operator in 2012. He is a long time resident of the Des Moines County area. Doug and his wife have three children. His wife is a school teacher in our community. When Doug is not serving families, he enjoys hands on restoration at his home and buildings. Doug is an avid motor sports enthusiast. Sam grew up in West Burlington, the son of David and Michelle McLeland. He graduated from West Burlington High School in 2007, and 2 years later received an Associate Degree from Kirkwood Community College in Iowa City. Upon graduation, Sam moved to Ankeny, Iowa, to enroll in the Mortuary Science Program at Des Moines Area Community College. Sam is an Iowa and Illinois Licensed Funeral Director and an Iowa life Insurance Producer. Sam is a member of the Burlington Kiwanis Club, Greater Burlington Young Professionals and Team B.E.A.S.T. (Burlington Endurance Athlete Sport Team) . He and his wife Sammy have a son, Wyatt Bruce, a daughter, Quinn Rose, and their Boston Terrier, Max. In his free time, Sam enjoys disc golf, working out, fishing, kayaking, riding his bike, anything outdoors, and spending time with his family. Lindsay Oliver graduated from Danville High School, and received her Associate of Science degree from SCC. She graduated from Carl Sandburg College of Mortuary Science in Galesburg, IL in 2015. Lindsay volunteers at Old Threshers, Children Cancer Connection Camps and the University of Iowa dance marathon. She enjoys the outdoors, working on her family's farm, playing various musical instruments and spending time with family and her husband, Travis. Alex was born and raised in Winfield Illinois, and graduated from Wheaton North High School where he was very involved with music. He attended the College of DuPage in Glen Ellyn for two years and left with his EMT-B license. He then went on to Worsham College of Mortuary Science and graduated September of 2016. 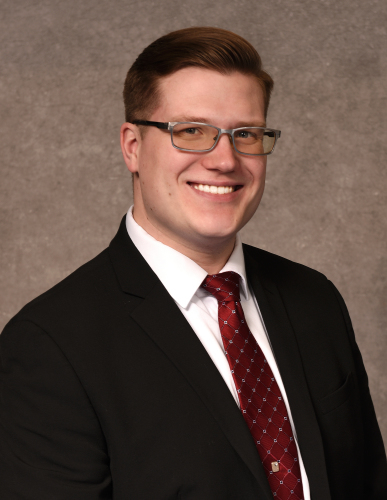 He completed his apprenticeship at Prugh-Thielen Funeral Home in October of 2017 and is now an Iowa Licensed Funeral Director and an Iowa Life Insurance Producer. Alex is a member of the Greater Burlington Young Professionals, a Board Member at Large for the Historical Society and sings with Bel Canto as well as sitting on the Board as Membership Chair. He also enjoys bike riding, spending time down by the riverfront, and playing several musical instruments whenever he has the time. Emma grew up in Brookville, Indiana and graduated from Franklin County High School. She then moved to Cincinnati, Ohio where she earned her Bachelors in Communication Studies from Northern Kentucky University and her Bachelors of Mortuary Science from Cincinnati College of Mortuary Science. She also became a Certified Celebrant during her time in mortuary school. Emma moved to Burlington in April 2018 with her boyfriend and pet toad. 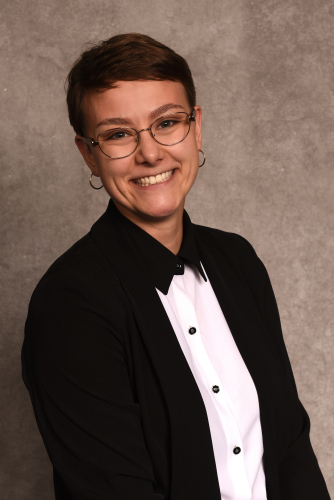 She plans to complete her internship in the summer of 2019 and continue serving families as a funeral director at Prugh-Thielen Funeral Home. Emma loves taking walks, singing along to the radio, and traveling. Courtney was born and raised in the Burlington area and is the daughter of Amy and Jeff Laue. After graduating from Mediapolis Community High School, she attended the University of Iowa and is a registered Iowa Life Insurance Producer. She grew up around the funeral industry and is very passionate about helping families. Courtney and her husband Kyle are proud parents of their two sons, Karsen and Kane. She enjoys traveling, going to classic car shows, gardening, watching baseball and hockey, and spending time with her family. Jill and her husband, Patrick, live in Burlington. Jill graduated from Monmouth College in Monmouth, IL in 2015 with a Bachelor's of Arts in Biopsychology. In her spare time, Jill enjoys reading, baking, playing the piano and spending time with family. She also provides canine assisted therapy services to various facilities in the area through her organization Big Red Dog AAT Group. Charlotte Shafer and her husband Brad, who is a master carpenter for Brueck Construction Co., make their home in Biggsville, Illinois. They are the parents of one daughter, Stephanie (Jamie) Jarrett of Burlington and two sons, Nick (Ammie) Shafer of West Burlington and Rev. Travis (Morgan) Shafer of Omro, Wisconsin. They have two granddaughters; Mallorie Walker and Brenna Shafer and four grandsons; Cade Walker, Ethan Walker, Riley Walker, and Kennan Bradley Shafer. Charlotte is a member and Elder of the First Presbyterian Church in Biggsville, IL where she teaches Sunday school and helps with the Ladies Aid. She volunteers with the American Cancer Society helping to organize the Henderson County Relay for Life. Charlotte enjoys bowling and bowls on Majestic Mixed Sunday night league and the Monday Night Ladies league and treasures time spent with family and friends. Mary Margaret graduated from Fairfield High School and St. Joseph Hospital in Ottumwa with a registered nursing degree. She worked as a public health nurse with the Des Moines County Public Health Department for over 20 years. 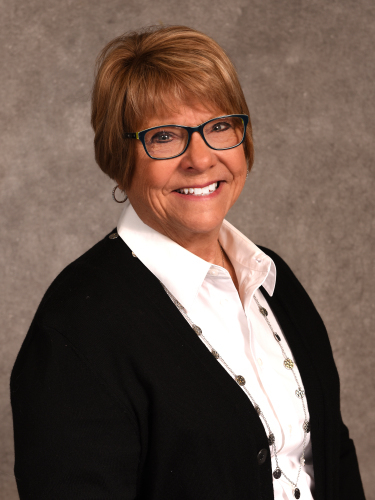 Mary Margaret is on the board of directors at ADDS, she volunteers with Birthright, St. Vincent de Paul food pantry, and is a Master Gardener where she volunteers her talents by working on the Mary Garden and other garden areas at St. Johns Catholic Church. She is passionate about child safety. She is a Certified Child Passenger Safety Technician and was in the first certification class in Iowa. She provides carseat checks and education for individuals and groups. Her support and involvement continue with child abuse prevention, parenting education and children injury prevention. Mary Margaret is a member of SS John and Paul parish where she is a lector, Eucharistic Minister, Health Ministries, takes communion to residents at Burlington Care Center, and is active with Garden Angels and Mary Garden. She enjoys time spent with her family, especially her grandsons high school and college music activities and her only granddaughter, Evie who was born in 2014. She loves spending time outside in her yard, gardening, baking, sharing cookies, brownies, and cheesecakes with her family and providing goodies for concerts at Starr's Cave Nature Center and various other events. She enjoys the arts, music, plays, going to continuing education, conferences, and workshops. Karen graduated from Warren High School, Monmouth, Il and completed two years of college at The University of Iowa. She and her husband Bill have two children, Jeffrey (Marie) Hassel of LeClaire, IA and Wendy (Ryan) Bowen of Highlands Ranch, CO along with five grandchildren: Isabel, Benjamin, Zachary, Reagan and Evyn. 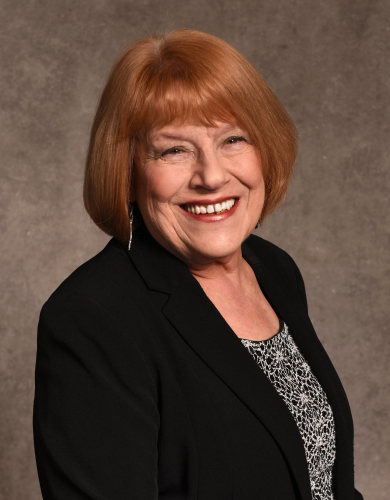 Karen worked as a ward clerk at Burlington Medical Center, a receptionist for Dr. Clarence Singsank, Oral Surgeon, and office manager of Burlington Pediatric Association, PC retiring after 32 years. She has been involved with PTA, Junior Women’s Club, Medical Managers Assoc., Burlington Fine Arts League, Bel Canto Chorale, P.E.O. and is a long standing member of First Christian Church, Disciples of Christ. Her interests include singing, volunteering and spending time with her family and friends. Tim was born to a railroad family and is the 5th generation of his family to live in Burlington. During his youth he was an avid 4-H member with a special interest in quarter horses. His interest in quarter horses continued for more than 35 years. Tim is a graduate of Truman State University majoring in education/business. He served in the military for 8 years and recently retired from The Hawkeye Newspaper as a major account representative. Tim is a member of St. John's Catholic Church. He is an active member of Kiwanis, The Eagles Club and The Knights of Columbus. 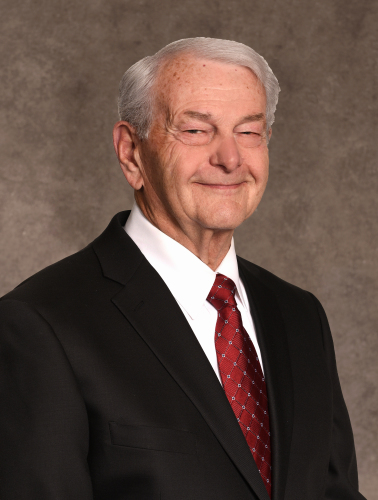 He serves on the advisory board of the Great River Medical Center Rehabilitation Health and Fitness Center. Tim's hobbies include boating on the Mississippi and restoring older homes. He is also a vintage automobile enthusiast. James "Jim" Wilt retired from the J. I. Case Co. in Burlington where he was honored for the longest employment of all Case employees. Jim graduated from the Air Force Police Academy and served four years in the Air Force Military Police. He was a police officer in West Burlington for twelve years. Jim is widowed and makes his home in West Burlington. His duties at the funeral home include assisting at visitations, delivering flowers and driving one of the pallbearer or family cars.